Works with spotting scopes too. 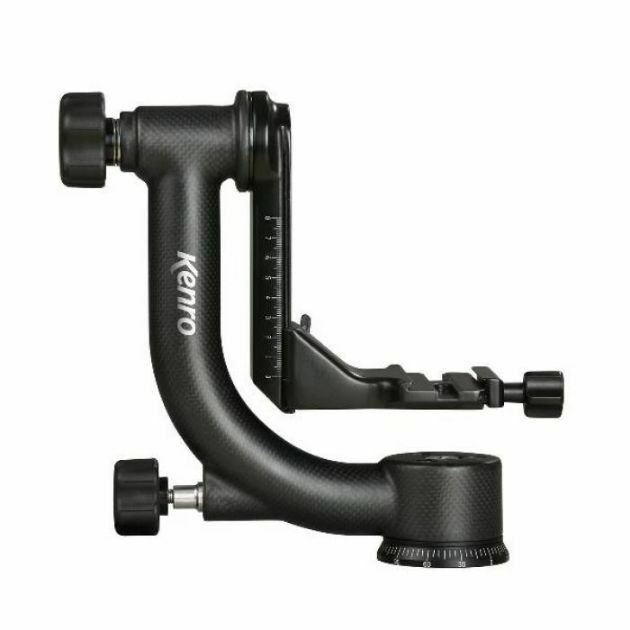 The Kenro KENGHC1 Gimbal Tripod Head is manufactured in carbon fibre and aluminium and is designed for large telephoto lenses used with DSLR cameras. It features an elevated tilt mechanism and height-adjustable platform that enables the user to perfectly align the tilt axis of the head with the camera / lens centre of gravity. The Gimbal design makes it easy to manipulate very large lenses around the centre of gravity, and we have found this also works equally well well with spotting scopes. The 360 degree smooth panning base and the swinging arm come with separate locks, making the Kenro Gimbal Head ideal for sporting events, nature and long-distance photography, especially fast-moving subjects. Compatible lenses: Fits virtually all telephoto lenses with a rotation collar. Most spotting scopes up to 90mm - contact us to discuss.